As temperatures have plunged to record levels and winter continues, American Humane and the Out of Home Advertising Association of America (OAAA) today are launching a campaign to remind the public of the thousands of animals in need and encourage support for American Humane programs established to help in times of crises. 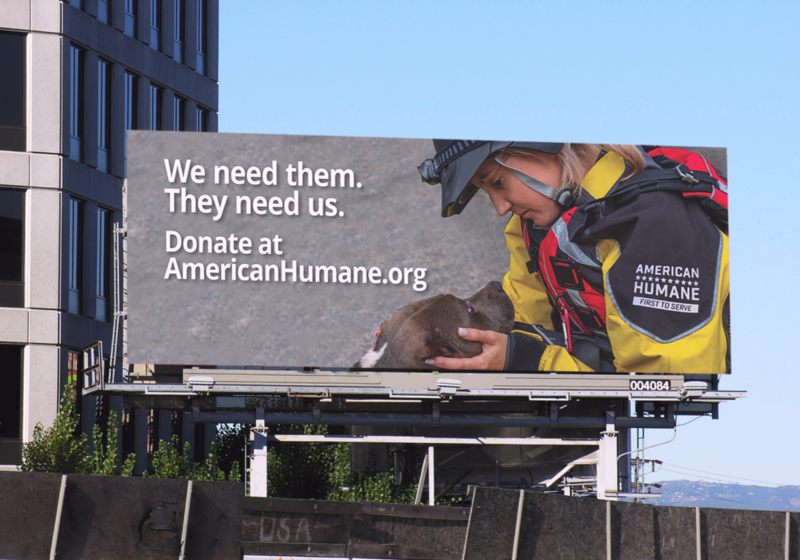 American Humane turns charitable donations into effective action. More than 91 cents of every dollar spent goes into life-changing, lifesaving programs, earning it the highest, four-star rating by Charity Navigator.